June 16, 2017 – It’s heading towards summer. The days are getting warmer, but the evenings can still be on the cool side. Your young ones want a cool pool during the day, but you’d prefer a hot tub at night… and you don’t want to have to wait forever to heat it back up. What do you do? Hot Spring Spas has the answer! It’s called The CoolZone™ Hot Tub Cooling System. A contradiction in terms if ever there was one. It’s new. It’s innovative. And it’s designed exclusively for Hot Spring Spas. 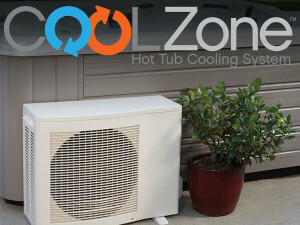 CoolZone works on the same principle as a heat pump or an air-conditioner. Ready for a cool pool? 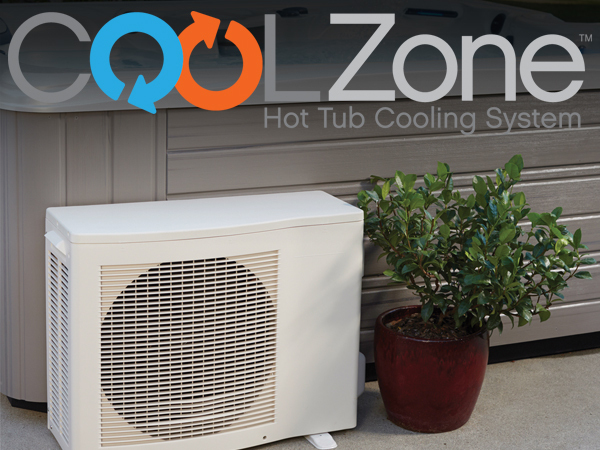 CoolZone lowers the hot tub’s temperature by extracting the ambient heat from your tub. When the night gets chilly, CoolZone pumps the heat back into your hot tub. Easy peasy! When CoolZone works in conjunction with your Hot Spring Spa’s No Fault® Heater it can hasten your tub’s return to a comfy “hot” tub temperature. Under the right circumstances it can take as little as 4 ½ hours to cool down or heat up your tub! In areas where the climate is warm, or those times when the temperature climbs. When the kids and grandkids will be joining you and you want to lower the temperature. If you work out or play sports and you want cold therapy in addition to hot tub soaking. For folks who love the idea of turning their hot tub into a cool small pool…and back again. Ready to make your Hot Spring Spa more versatile than ever? Cool! Read more about the CoolZone™ Hot Tub Cooling System. We think you’ll love it!